Front plastic clear plate for the original extractor head on the AquaMate I. 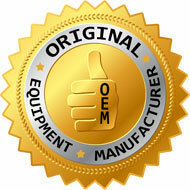 Be sure to look close at the other front lens plate under the "Related Items" tab. They are different and do not interchange. Effective through serial number 4724830 and came standard with model D4C SE (Special Edition), D4C, and D3C Rainbow vacuum. AquaMate head applique for the E-2 (e SERIES™) AquaMate I. Effective serial number 4724831. This complete head assembly for use with the AquaMate I and AquaMate II shampooing system utilizes a small head design to replace the larger design. Complete extractor head for the AquaMate II and AquaMate I system. Even if your system used a larger size head, this is an improved replacement. Fits the AquaMate II and all version AquaMate I systems. Upgrade your plastic wands from your AquaMate I to the new stainless steel. Allows you to be more aggressive with cleaning your carpet without the fear of breaking the wands. Bottle latch for all AquaMate I shampooing systems. Helps catch the bottle so it will not fall from the handle assembly. Bottle latch spring that is used on all AquaMate I units up to and including the early D4C SE (Special Edition) model. This right side handle fits the AquaMate I SE version 1 and the D4 model shampooing system. Note: Discontinued...must upgrade to R6943 Handle Kit. AquaMate I handle kit for the D4C SE (Special Edition), D4C, D3C, and D3A model Rainbow. The previous versions (R4621, R4622 - D4 / R2470, R2471 - D3) are no longer available. This standard chrome screw fits the D4C and D3C AquaMate I. The only other version is a much smaller black screw that is used in newer models. Slide adjustment for the AquaMate I soap inlet tube. Pinch Arm for the AquaMate I soap inlet tube. This item is for the first version only. Does not fit the second verison SE or e SERIES™ model. Plastic curved wand that will fit the D4C, D3C, and D3A AquaMate I systems. Manufacturer number you may find stamped on this item include R2532. Tan trigger that will fit all Rainbow AquaMate I systems. This item works with the valve assembly and two springs to turn on and off the water. Spring for all fluid control assembly and control rods that fit all AquaMate I systems. Requires 2 springs per application. Control Rod for the AquaMate I units made prior to serial number 4519171. This item is no longer available and you must purchase the R7841 or R2400 fluid control assembly. The increase flow in the new design control assemblies make it worth the upgrade. Use with the R2400 fluid control assembly made after serial number 4519170. Complete fluid control assembly for the AquaMate I system. This assembly is the improved standard for all versions of the AM-I shampooer. Hose connection that fits all AquaMate I units. This allows the supply hose to connect to the fluid control assembly. Shampoo inlet tube for all Rainbow AquaMate I systems. This tube has been improved over the years to help prevent kinks and soap clogs. This item fits the AquaMate I SE version 1 and the D4 model shampooing system. Gasket that seals the shampoo container bottle to the handle. This gasket has three holes and came standard on the D4 and D3 AquaMates. The later version E-2 (e SERIES™) and SE AquaMates use a two hole gasket. Shampoo supply bottle that will fit all AquaMate I systems. Leaking can occur when bottles become brittle and cracked. Replace your solution bottle when it shows signs of age in order to prevent these leaks from occurring. Clear tubing that runs from the handle to the extraction head on both the AquaMate II and also the AquaMate I. This tube is a simple replacement if in case you forgot to run clean hot water through it to flush out all the soap before storage. This tool helps clean out the spray nozzle on the bottom of the AquaMate head. Brass spray nozzle for the AquaMate I cleaning system. Brass spray nozzle plate for the AquaMate I cleaning system. Works with the R2626 brass spray nozzle. This common screw is used in several places in the assembly of the D3 and D4 model Rainbow such as the D4 baffle and the D3 motor mount ring. * Discontinued item...please order H580 as a direct replacement. Brush for on the extractor head of the AquaMate II an AquaMate I system. Optional washer for the short, deep, and shallow faucet kits. Washer that works on all AquaMate I systems for the short adaptor to help prevent leaks while connected to faucet. It is always a good idea to use at least the screen washer because it helps keep sediment out of control assembly to prevent clogs. Fits all AquaMate I shampooing systems. Stem nut for the AquaMate I that has an improved design with deeper threads. Allows for the use of multiple gaskets and still be able to thread onto faucet. Metal clamp that fits on end of water supply line on all AquaMate I systems. Optional washer to fit the R2045 short adaptor. If your AquaMate I hose will not fit your sink, this short adaptor can help with the connection. Reducer adaptor to fit inside thread faucet design that is to small to allow hose end to connect your AquaMate I. If you only have inside threads, this item may fix your problem.